"The Specialized Prosecutor's Office participates in neutralizing an international money laundering group through the virtual currency". According to the Prosecutor's Office the raid was part of their involvement in an international operation to neutralize a large-scale pyramid structure for commercial fraud, progressive customer recruitment and money laundering by creating and distributing the virtual currency OneCoin. 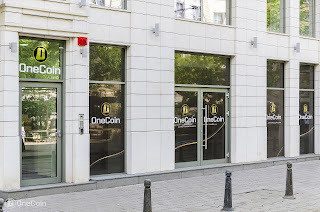 In addition to the headquarters of OneCoin also offices of 14 other companies involved in the scam have been raided. The raids happened on 17 and 18 January 2017 in the presence of representatives of Europol and the German investigative bodies. The raids led to a lot of material evidence having been seized, including servers and also 50 witnesses have been questioned. – I guess Ruja's laptop that was running the database was seized as well. Good bye coins! No one has been arrested for now. Presumably during the raids there was no one around responsible for the crimes committed. The people interrogated were most likely staff that OneCoin had hired to run its business, websites and organize events. Ruja Ignatova hasn't been seen for a long time. That been said, the raiders were longing to interrogate "two Bulgarian women with German citizenship". Those women are presumably Ruja Ignatova and her mother Veska Ignatova. 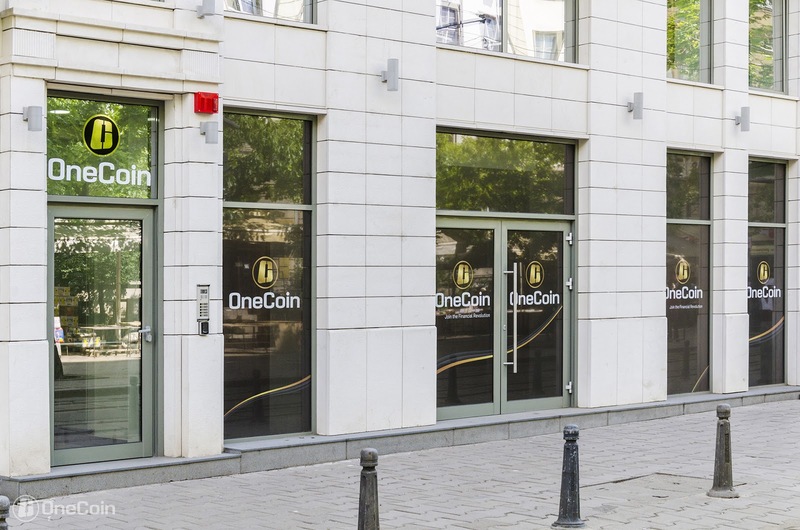 A video by Bulgarian authorities capturing OneCoin's HQ after police had emptied it. The authorities are labeling OneCoin as an international criminal organization, so anyone defending the scheme claiming that the company hasn't done anything illegal can shut their pieholes. "Investigators identify the location of the servers in Sofia and the service companies used by the international criminal organization." "According to the prosecutor's office, besides Dubai's OneCoin Ltd. the network operates through hundreds of affiliated companies on 4 continents." Finally some international co-operation in Europe against scams! Hopefully this is a start of more efficient co-operating agains ponzi-pyramid schemes in Europe. So far scams have been operating quite freely, and crossing borders has provided almost a secure way to spread scams from nation to nation. Original news release by the Prosecutor's Office of the Rebublic of Bulgaria. According to the Chief of Prosecutor's office of Bulgaria, Ivan Geshev, Ruja Ignatova is accused in Germany for being a member of an organized crime group involved in financial fraud. I’m laughing so hard my sides hurt. Evidently the authorities had already connected the dots between OneCoin's blockchain simulation online and the laptop on Ruja's desk. It's interesting to see what happens to DealShitter now. I wonder if there will be a “news post” from OneCoin explaining how this is all just a misunderstanding and police has talked to people, not arrested anyone and “the company cooperates with authorities” and blah blah? Oh, apparently - and I kid you not - "about ten hours after the prosecution's announcement, the company sent an opinion from a previously unused gmail address, signed by the Public Relations Department of One Network Service Ltd."
Google translate does pretty good work except for the "One Network Services" that it translates to Wan Network Services. 1) Affiliates try to turn as much of their ponzi points to something of real-world value -> increase in use of the Dealshaker. 2) Affiliates realize the Dealshitter is no less a fraud than the OneCoin ponzi coin itself -> collapse in use of the Dealshaker.